As I write this article in December 2018, there is a fair bit of soul searching going on within the Atlantian fencing community about where we came from, where we are, and where we want to be. This has been going on in public on Facebook and in private at order meetings and on order mailing lists. I thought I'd express my thoughts in a public blog post on my website so that I can include pictures, links, and headings. I expect it may become lengthy, so please feel free to use the headers to find what you're interested in. I expect that other peoples' experiences will vary greatly with my own depending on their location in the Kingdom and the years that they were active. That's fine. This is what happened to me and what shaped my opinions. My experiences are no more and no less important than anyone else's. 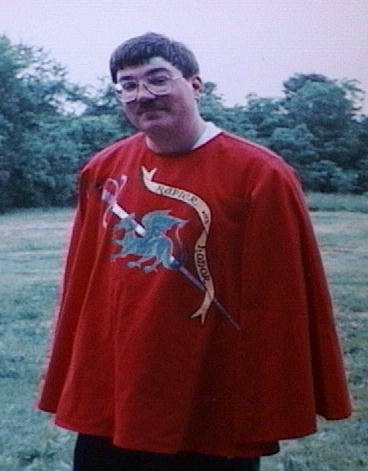 I joined the SCA in about 1990 while working on my Ph.D at Virginia Tech (Barony of Black Diamond). 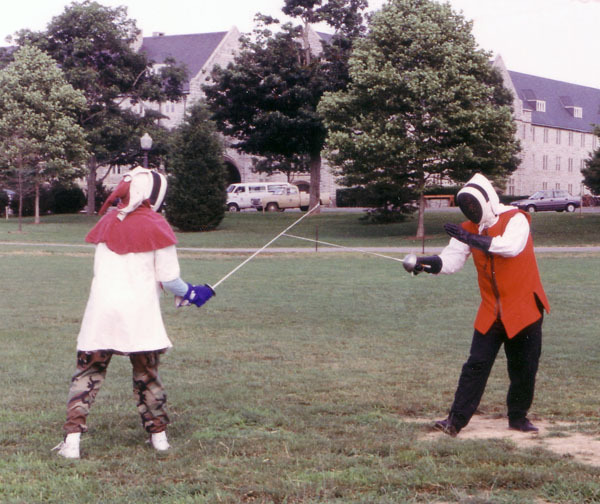 At one of my first events (Kings Assessment 1990 or 1991), Pat Goldammer had some fencing foils that she brought to try to get people interested in this new SCA fencing thing. This was right up my alley and I dove in head first. Pat and Michael authorized outside of Black Diamond, but I think I was the first to authorize at an event in the Barony. I authorized in February 1992 at Ice Castles. 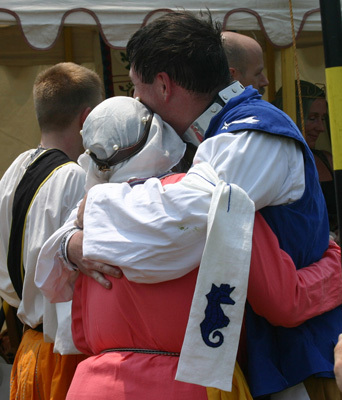 Master Geoffrey Gamble was the authorizing marshal and Lady Adelicia of Cumbria was the MoL. Black Diamond was fairly remote; we had little contact with the rest of the fencers in the Kingdom (pre-Facebook and mostly pre-email). And I was working on an Engineering Doctorate. But I still made it to Kings Assessments, Diamond Jousts, and probably the first Night on the Town, which I remember being near Charlottesville rather than Baltimore as it is now. The site had cabins and the event had a story with a good side and bad side of town, rival families, a corrupt city guard (my role was to be the Captain of the Guard), etc. This was all well before the Academie and the first gold scarf award (Order of l'Academie d'Espee) in April 1993 or the Order of the White Scarf in Atlantia in 1996. 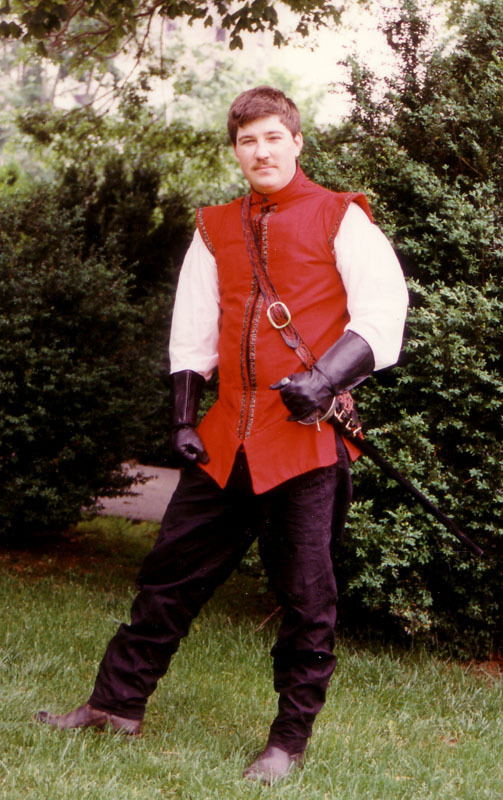 Of the Black Diamond fencers at the time, I think Sir Roland (who was Baronial Knight Marshal and got his first fencing lesson from me with 3 months or so of experience under my belt) and I are the ones still around in Atlantia now. I finished my Ph.D. in early 1993 and accepted a post-Doc in Dayton Ohio. As I arrived in the Barony of Flaming Gryphon, the Middle Kingdom was finishing up its first fencing rule set. I attended the first marshal training session and became one of the first marshals in the Kingdom. I received my AoA, was the premier of the Barony's fencing order, and received the Kingdom AoA Fencing Award in May, 1996. Note that the Atlantian OWS was also an AoA level award at the time and the first had been awarded a month earlier. I was one of the seven initial marshals to get schlagger authorized in order to boot-strap the heavier blades into the Kingdom. Due to their seven fencing forms that each required an authorization, I marshalled several hundred authorizations during my three years there. 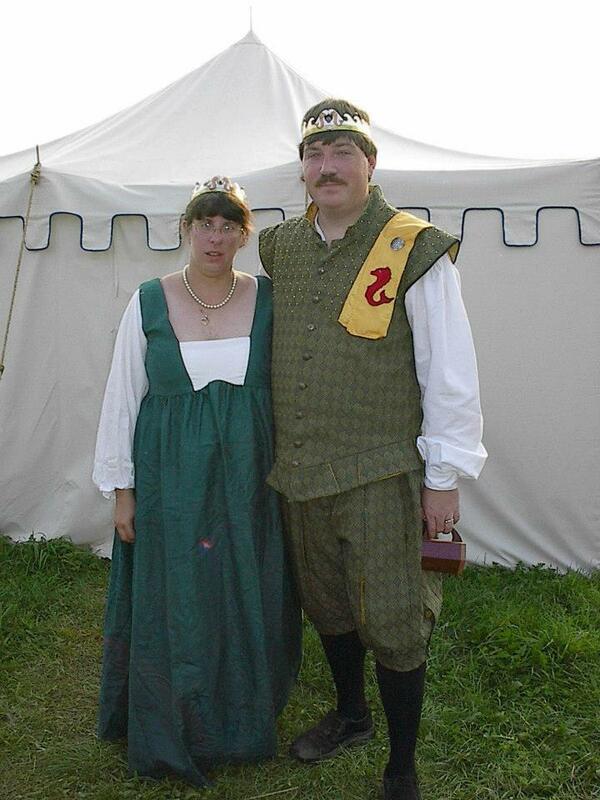 I attended my first Pennsic (#23) and served as member of the Kingdom champions team. In 1996 I moved to the San Francisco area to take a job at NASA, Ames Research Center. As I got there, the Queen banned fencing saying it was like "witch burning and bear bating" - period practices that we didn't want to emulate. I wrote a proposed set of rules that would have made the West Kingdom a schlagger-only Kingdom. Parts of my proposal were used in the final approved rule set. 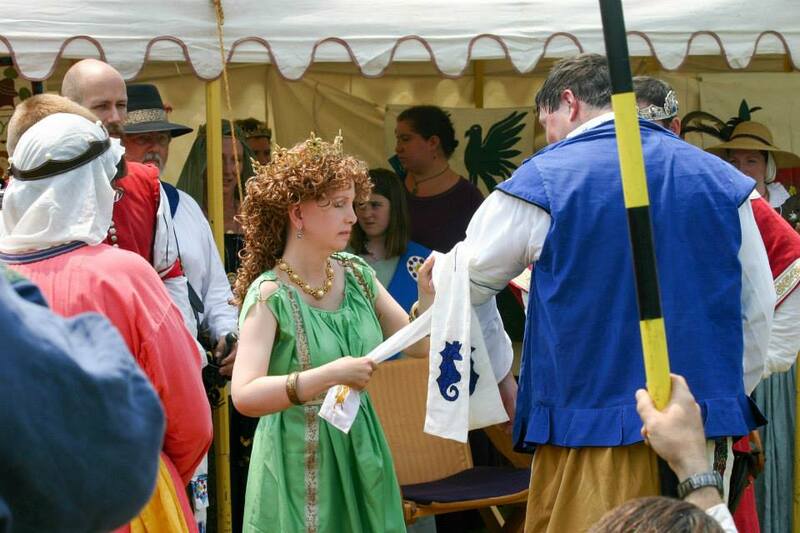 I briefly served as Principality Rapier Marshal for the Mists. 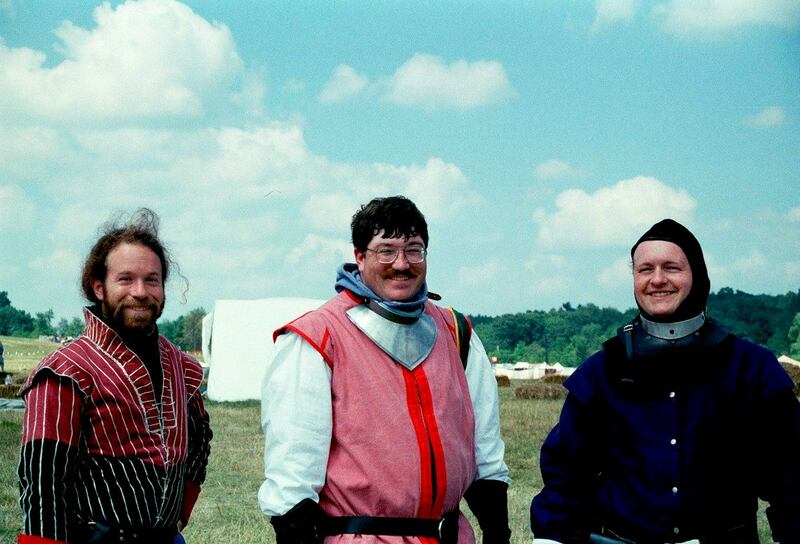 I also represented the West on a Pennsic fencing champion team. Another job change took me to the Barony of Tir-y-Don back in Atlantia. A lot had changed during the 6 years I was away. I thought it would be nice not to have to help build a Kingdom fencing program for the third time. 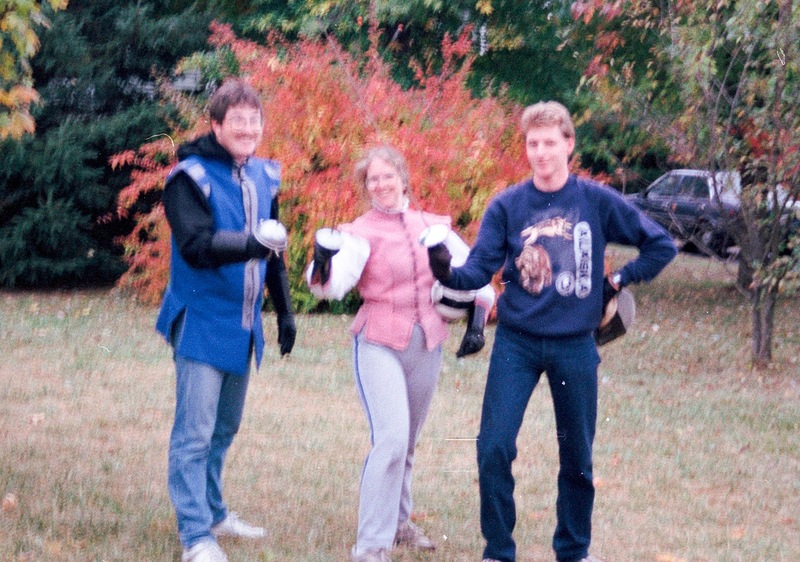 Tir-y-Don had a few fencers, but Jean-Claude and I ended up as the teachers and leaders of the squad. We both were invited to become Free Scholars in 2003 at my investiture as Baron. About that time I also became a regional deputy KRM which I did for two different KRMs. During my 4 years as a Free Scholar (2003-2007), something odd happened: the White Scarves of Atlantia took a long vacation all at the same time. It was very unusual to have any OWS fighting in even the largest tournaments and there were never more than two. They were seen from time to time running events or activities, but they in large part took a long break from fencing. And I looked. I was driving to get my own scarf so I traveled and fought a lot at Kingdom Crusades, Highland River Melees, Sapphire Jousts, Ymirs, Coronations, and Kings Assessments. I knew all of the Provosts that were around, but they almost never fenced. So, the Free Scholars stepped up. They ran events, hosted tournaments, taught at University, served as Baronage and other major offices. You can even see this absence reflected in the OP entry for the OWS. Count the number of new OWS made each year. Note the 19 month gap that resulted in no new awards in 2006. It is my experience as a Free Scholar that has colored what I expect from current Free Scholars. I expect them to step up and lead. I hold the rank to high standards and won't sponsor people who I don't feel can reach those standards. Many of those FS who had stepped up were recognized and continued their leadership as OWS. JC and I were both in the OWS class of 2007. Most of the class of 2007 are now Peers and all are still around and very active. A new wave of high quality OWS followed. The order revitalized and this new life even got some long missing OWS to return. 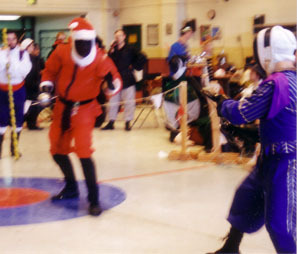 At this point, the OWS gradually regained its role as leaders of the rapier community. I served as KRM starting in 2009 and received a Pelican in 2010. For the next 8 years after my 2007 elevation, the OWS was the top rapier award in the society. We were told by others, told by each other, and acted as is it was a Peerage in all but a technicality. A very large portion of Atlantia's OWS also received one of the three bestowed Peerages (a Pelican in my case). Then, the true rapier Peerage was created. Not every Kingdom had White Scarves, but most had an arguably equivalent order. There was much gnashing of teeth and a wide variety of responses across the society including closing of some orders to new members. Atlantia, correctly in my humble opinion, chose to keep its OWS open and continue to award it. The award had long been held to be the goal for people who wanted to be recognized for excellence in rapier. Closing it would have cut many people off from a long term goal they had set for themselves. 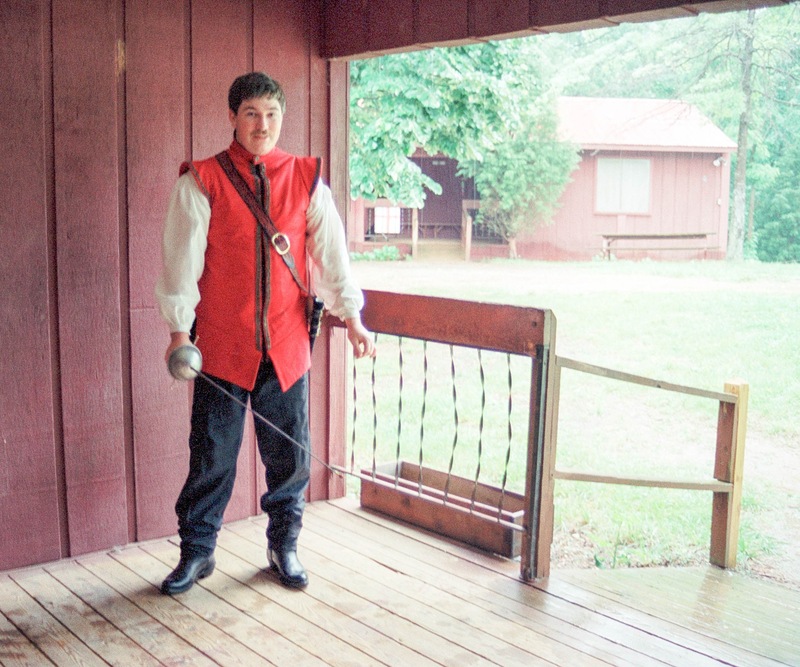 In 2015, the Order of Defense was created as a Peerage for excellence in Rapier and/or Cut & Thrust combat. The first eight Atlantian Masters of Defense were all from north of Richmond. This was not, in my opinion, representative of the actual distribution of skill in the Kingdom. It created an artificial structural advantage/disadvantage to becoming known to the Order based on where you lived. As of this writing 3 years later, I think 5 of the 16 Atlantian made MoDs live south of Richmond and our two transplants change that to 5 south of Richmond of 18 total MoDs. The two most recent additions are the first, and only, from southern Virginia. Many of the northern MoDs do try to travel, but seeing people at a few events is very different from practicing with them regularly. And it is imperfect. In the last 3 years we have had one outside MoD fight at a practice or event in Tir-y-Don one time. As of this writing, I am the newest Master of Defense in Atlantia. 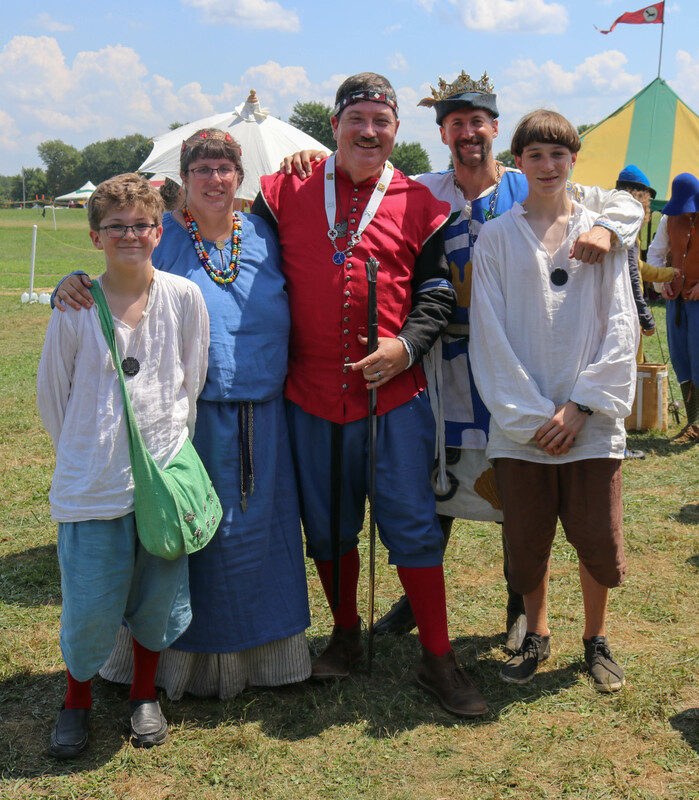 I was recognized at Pennsic last August primarily for my skill in Cut & Thrust. Both the OWS and the MoD are polling orders. That means the current membership of the Order is consulted by way of a polling before the Crown chooses who to recognize. The Crown has the option of disregarding the input of the Order if they choose to do so. Sometimes this is justified and sometimes it is not. Sometimes it works out. The process is inherently imperfect and slow. When one reaches the appropriate level it will take at least 6-12 months to get noticed, through the polling process, and awarded - and that's the ideal situation. Often it can take much longer. Protip #1: It is never appropriate to ask a person why they haven't received an award. It makes them feel bad and there's no good answer. Save that thought and write a recommendation for them to receive it instead. Protip #2: It is natural to become frustrated with the pace of recognition for your friends and yourself. Griping about it is ok - in private. Griping publicly may slow your progress further. Griping on Facebook is probably a bad idea. Be aware of your audience. The rank of Free Scholar in the Academie d'Espee is different. It is not an award. It takes three Provosts (a self-chosen subset of the OWS) to sponsor a person to become a Free Scholar. The sponsors then seek "the goodwill of the Order". The details of the process can cause some strife within the OWS. I wrote an article that attempts to capture the different points of view and a common approach to proceed. It is a little too frank for me to want it to be publicly available; instead it is stored in the file section of the Order's Yahoo mailing list for private access by the OWS. I frequently will send it directly to new Order members, but I've fallen behind in that task. These processes depend on the subjective evaluation of 18 or more people. Each person has their own process and scale that they follow when choosing to support or not support a candidate. People generally work hard to be informed and fair with their evaluations. But multiple people combining their evaluations can be very inconsistent. Different goal posts can be used for different people depending on who has current information and how motivated they are to share their point of view. To complicate things, none of the three ranks are based solely on combat prowess. We also try to factor in service and comportment. You may occasionally see "Peer Like Qualities" or "PLQs" to capture the non-skill portions of the desirable candidate. (I've also heard the initials "DLQs" to describe the undesirable behaviors of a candidate.) The relative importance of each of these factors vary with the person doing the evaluation, sometimes wildly. To me service is doing something to help the SCA and rapier run. This can include marshalling, teaching, serving as an officer, autocratting events, etc. 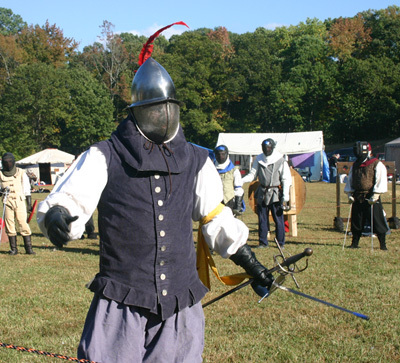 Comportment includes how you dress, how you behave, and how much you participate in the SCA outside of fighting in the day's tournament. Do you help set up or tear down? Do you go to court? Do you help your local group with demos and attending business meetings and work days? Many of these descriptions are very similar to what my peers in each order have posted. That's not accidental; we mostly agree on terminology. Application to a particular candidate is what varies significantly based on our personal experience with that person. As far as I know, many of the details in the "other" bullet in each description are unique to me. I subscribe to the "equal/exceed the median of the recent additions to the order" for setting of the bar. (As the current most recent MoD, I invite you to come demonstrate where your prowess lines up.) If the bar isn't moving then "equal/exceed the median of the entire order at the time when each was recognized" should be equivalent. But I prefer the first since our collective knowledge and skill is improving over time and the bar should slowly move up to reflect that. Prowess - Making an impact on the rapier field. An up and coming fighter with potential. Service/Comportment - Participating in the SCA off the field somehow. Role - Keep learning and growing. Prowess - Generally wins against other scholars. Has a consistent, logical, if basic, theory of a rapier fight. Can explain it. Comportment - No obviously modern clothing when in garb. Frequently attends court. Generally polite; I'm not embarrassed to be seen with you or admit I know you. Other - For me to sponsor you I must think you have a good chance of becoming a White Scarf. Roles - Provide energy and enthusiasm. Learn. Prowess - A threat to any opponent regardless of rank, generally beating most other free scholars and many white scarves. Has multiple approaches to choose from for a fight and generally selects an appropriate one. Competent teacher. Service - Warranted marshal plus other service to the SCA as an officer, autocrat, teacher, etc. Comportment - A positive member of the Kingdom. Can be depended upon to do a requested task. Other - Have they contributed something notable? When you're trying to describe the person to someone else do you have something good to say "You know, the person who did/made/researched/taught X" about? Roles - Plan, organize, lead, teach. Prowess - A serious threat in any situation, generally beating most other white scarves and many MoDs. Practical understanding of a wide variety of fight styles and approaches. Can teach and adapt lessons to the needs of a variety of students. Expert on at least one rapier related topic/technique. Can teach at least the basics of any other rapier topic. Service - Long term contributions to the SCA. Comportment - A role model. Someone you can look up to and emulate. Active as a leader/creator in the Society. Well rounded. Roles - Inspire, motivate, teach. I have long had this image in my head and recently created it for a private email discussion I was having on this topic. It shows the overlap of rapier skill/prowess between different Academie ranks. There are several reasons for the overlapping areas. First, the non-prowess requirements I list above. Second, delays in people being recognized are inherent in the structure of our award systems. 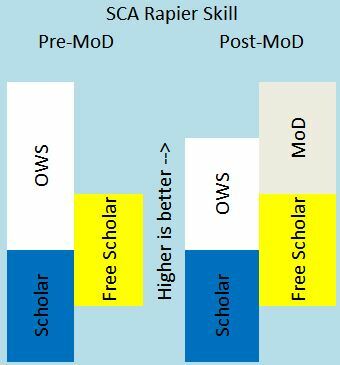 Master Dante's version of this chart shows vertical gaps between scholar/OWS and FS/MoD, and less overlap at the ends (~20% rather than my 50%). Your mileage will vary. The main point of this chart is to illustrate that if you want to meet the prowess requirement for the next scarf, I think that you need to be regularly defeating nearly all of your current peers and a lot, but not all, of your potential new peers. Because the OWS was the terminal (top) award for so long, its standards were very high. Now that is no longer the top, the feedback has been provided that its standards are too high. On the other hand, feedback from both post-MoD OWS recipients and our FS (potential new OWS) is that they don't want their accomplishment/goal to be lessened. I understand both points of view. So far, I have not intentionally lowered my standards. But, I am listening to the discussion and will change if that is the conclusion we eventually reach.